A charity ride for Autism. Every couple of years I like to do something dumb on a bicycle. Ride over the Alps or the Rockies or similar, and I usually combine it with raising a bit of money for charity. I have not figured out why me riding somewhere makes people reach for their wallets, but as it works, I don’t plan to knock it. This year I signed up for the the Rapha Manchester to London ride on. It is rather long. 220 Miles, which is over 300 kms, in one day. We are raising money for Ambitious about Autism. Autism care and research could do with a lot more attention, so hopefully this helps. Rapha’s Manchester to London Challenge is a unique one-day event travelling through the heart of the UK. Setting off at dawn from Manchester Velodrome, each rider will attempt to complete the 220-mile parcours before midnight, arriving at the Lee Valley VeloPark on Queen Elizabeth Olympic Park in London. A tough day out for even the most seasoned sportive riders, this will be a celebration of British cycling and culture. Held on Sunday the 7th September, the route will travel along quiet roads through the Peak District, the Midlands, the Chiltern Hills and across to east London. There will be four feed stops along the route, positioned in quintessentially British villages serving local fare. There will also be roaming mechanical support, but self-sufficiency will be key. After the success of the Bordeaux-Paris Challenge in 2013, the aim again is to raise money for Ambitious about Autism. Autism is a lifelong developmental disability which affects 1 in 100 people and the charity is one close to Rapha CEO and founder Simon Mottram, whose son Oscar has autism. 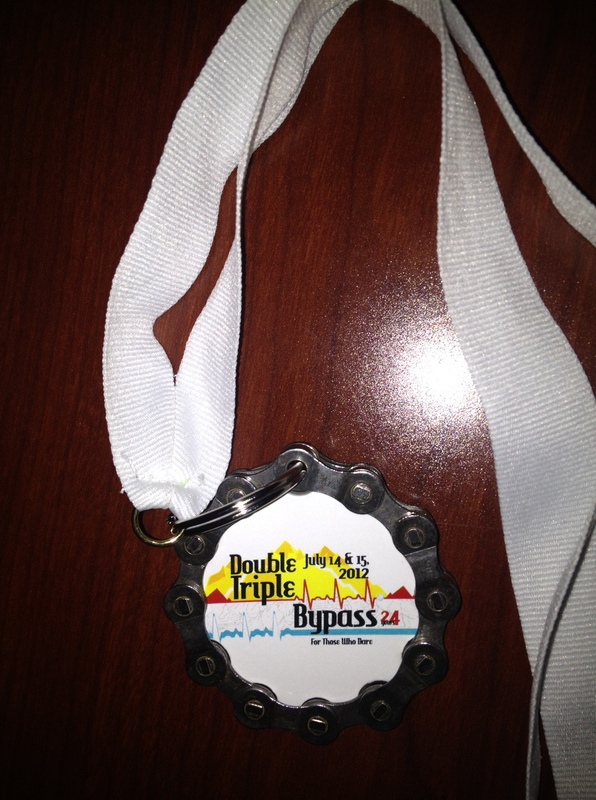 I’ll be riding together with my wife’s cousin, James Hart. Should be fun and pain. I would appreciate your hard earned cash. So head over here and sponsor me please. I also need to get training. eek. This also fits in rather nicely with what my employer, SAP, is up to, with regards to employing people with Autism. 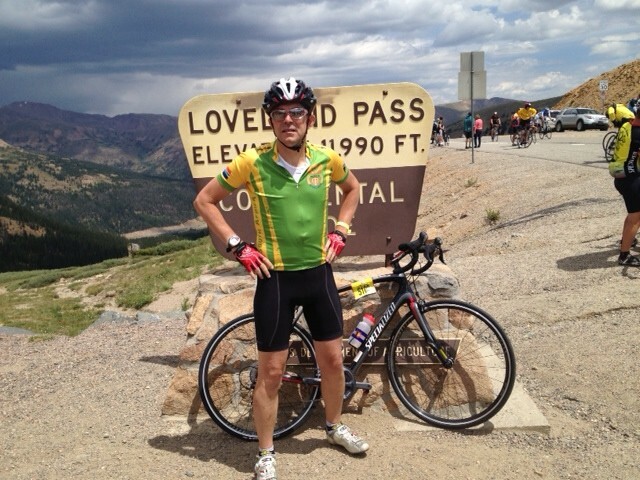 Author Thomas OtterPosted on July 4, 2014 Categories charity, Cycling related, SAPLeave a comment on A charity ride for Autism. Cancer and a bike ride. I’ve got a little ride planned in the Rockies on the 14th and 15th of July with my mate John. 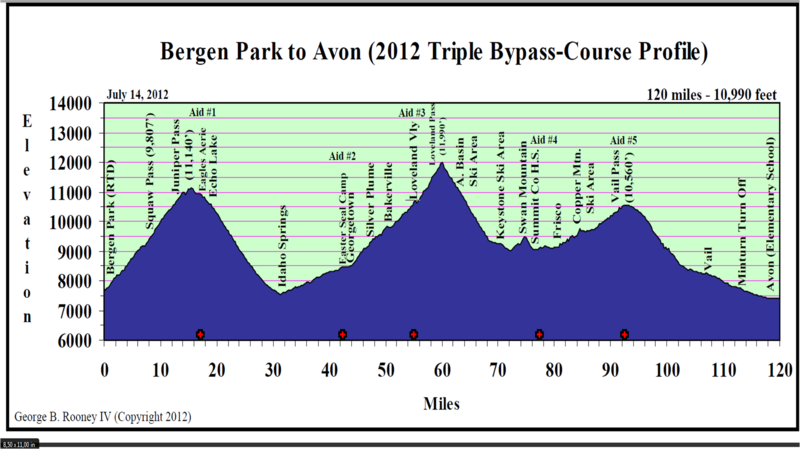 For the cycling types, the ride is roughly 120 miles a day, with over 10,000 feet of climbing per day. I figured it would be good idea to combine it with a dose of fundraising, but I’d not got around to getting things set up until now. In the past few months, I have been to services for people close to me who died from cancer, one for my uncle Alec and the other a dear friend, Hamish, from my SAP days. At a very moving service last weekend in Jussy, many people came to say goodbye to Hamish. He was one of the good guys. He will be sorely missed by his family and many friends. I’m convinced that eventually scientific research will help beat the disease. Please head over to the justgiving.com page and take out your credit card. Your dosh will go straight to cancer research. For those that have not read the poem, here it is. I hope you never have to hear a mother read it. Author Thomas OtterPosted on June 25, 2012 June 25, 2012 Categories charity, Cycling relatedTags cancer, charity, cycling1 Comment on Cancer and a bike ride. Of Rhinos, old friends, Mountain bike rides. This clever and moving video arrived on my facebook wall a few days ago. It is worth taking a moment to watch it. And then this morning a dear friend from South Africa pinged me that he was seeking sponsorship, raising money for the Wildlands Conservation Trust. David got me into cycling many years ago, introducing me to the joys of the high end bike shop, and the Berkshire and Surrey countryside. After years of hanging on his back wheel, the least I could do was sponsor him while he rides his mountain bike around Giant’s Castle. Author Thomas OtterPosted on January 12, 2012 Categories Africa, charity, Cycling relatedTags charity., mountain bike, rhino, riding, SA2 Comments on Of Rhinos, old friends, Mountain bike rides. I wish this sort of thing happened more often. A cycling moment. This week I was in foggy England for work. 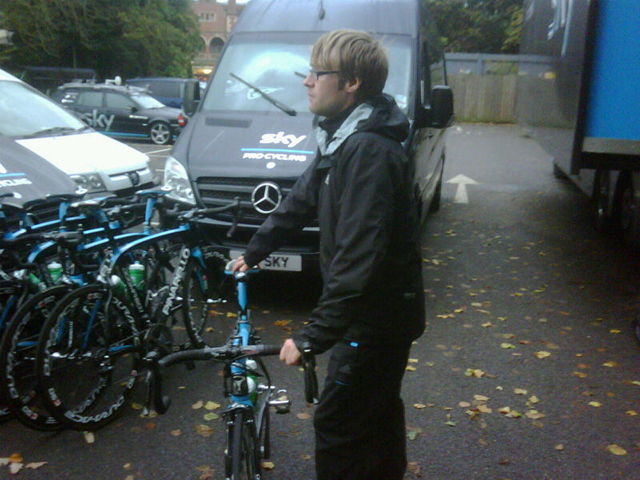 The Sky pro cycling team were staying in my hotel in Egham. I took the opportunity to wish Brad Wiggins best of luck for Col du Galibier and the tour. While waiting for my taxi the next morning I chatted with a couple of mechanics. I don’t think they were expecting a discussion about Dura-Ace Di2 with a bloke in a suit, but they were really friendly. 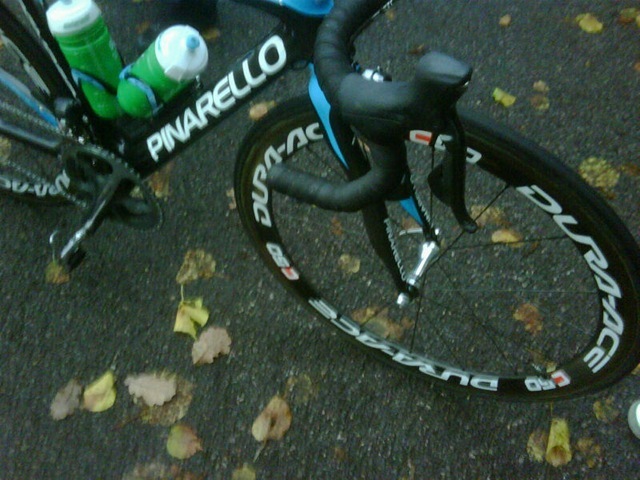 They let me take some photos of the bikes. 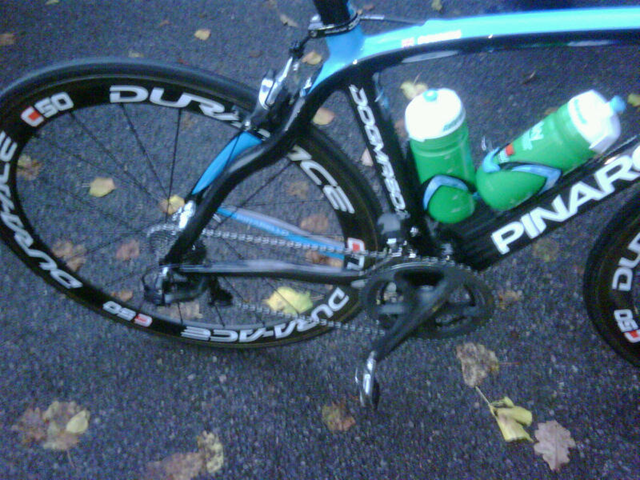 Pinarello Dogma 60.1 frame, with lots of Shimano components. I only had a quick look, but I didn’t see anything exotic, all off the shelf components. The mechanics were really upbeat about Di2 electronic shifters. They have had no issues with them at all. The battery typically lasts 1000 miles or so. I remain unconvinced though, I’ll stick with manual world for now. I have enough electronics in my life. Author Thomas OtterPosted on November 18, 2010 Categories Cycling relatedTags cycling, pinarello, teamsky2 Comments on I wish this sort of thing happened more often. A cycling moment.